Snap back the plunger, then let it rip! 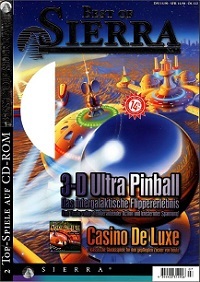 Send that sorry sphere packing to three out-of-this-world playfields: a cavernous space mine, a gritty command post and the colony, the mother of all manic-action pinball tables! Bank the right sequence of shots and you'll be able to warp between tables, taking the pinballs you have in play along for the ride. Feel the friction of the flippers as you play 3-D ramps and bumpers so huge, so intense, they'll pull pinball kicking and screaming to a higher level. Play outside the limits! 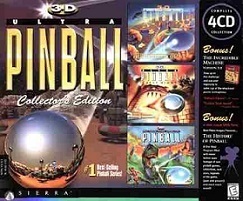 3-D Ultra Pinball, designed by Kyle Miller, lends its environment from Sierra's space strategy game Outpost. 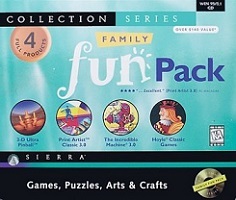 In the game, the player needs to complete five different challenges on each of the three tables and build structures in the process of building and launching a starship. The game also allows multi-player mode, as well as practice mode on individual tables. 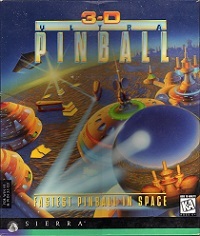 3-D Ultra Pinball: Fastest Pinball in Space is the first pinball game, designed by Jeff Tunnell Studios, in a long series of pinball games. The first sequel is 3-D Ultra Pinball: Creep Night. 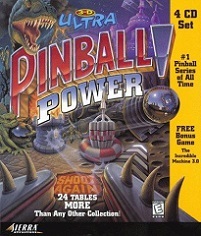 Ultra Pinball uses SVGA graphics and was released for the IBM PC and Macintosh.